Although 23 NYCRR Part 500 has come into effect, there are many companies around New York that are either not compliant at all or are only partially compliant. NEW YORK, NY, October 18, 2018 /24-7PressRelease/ -- CompCiti Business Solutions has announced a successful project delivery of 23 NYCRR Part 500 compliance assessment for a major international bank operating in New York. With the completion of the assessment project, the bank has ensured compliance with a mandatory section of 23 NYCRR Part 500 regulation. Upon the successful delivery of the compliance project, Sam Vohra, CEO of CompCiti, said, "Although 23 NYCRR Part 500 has come into effect, there are many companies around New York that are either not compliant at all or are only partially compliant. At CompCiti, we have made it a top priority to help all affected financial institutions comply." CompCiti Business Solutions, Inc. provides its clients what few other IT companies in New York can: expertise and insights developed since business networking began. CompCiti's focus on cybersecurity and cyber management services set it above other business networking services. CompCiti secures networks and other IT systems against all cyber-threats, including viruses, hackers, and ransomware. 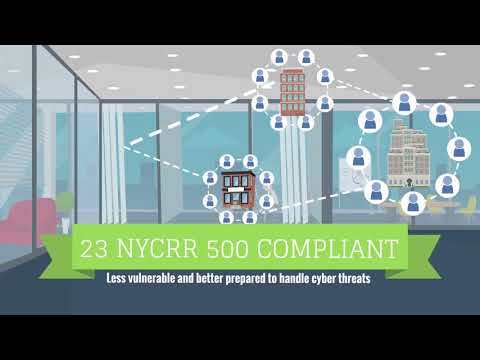 To find out more information about CompCiti's 23 NYCRR Part 500 compliance services, please call 212.594.4374 or visit CompCiti.com.